公派留学 (ECE, 电子计算机工程), 北卡州里大学, 美国, 2007-2008. 工学博士 (计算机科学与技术), 清华大学, 中国, 2009. Hongbo Li, et al. A Network-Bound-Dependent Stabilization Method of Networked Control Systems, Automatica. 2013, 49:2561-2566. Hongbo Li, et al. Gain scheduling based state feedback integral control for networked control systems. IEEE Trans. on Industrial Electronics, 2011, 58(6):2465-2472. Hongbo Li, et al. Optimal State Feedback Integral Control Using Network-Based Measurements, IEEE Transactions on Instrumentation and Measurement. 2012, 61(12): 3127-3135. Hongbo Li, et al. EDA-based speed control of a networked DC motor system. IEEE Trans. on Industrial Electronics, 2009, 56(5), 1727-1735. 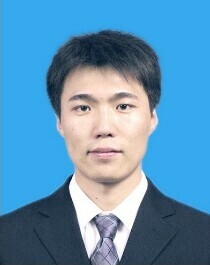 Hongbo Li, et al. Optimal stabilizing gain selection for networked control systems with time delays and packet losses. IEEE Trans. on Control Systems Technology, 2009, 17(5), 1154-1162. Hongbo Li, et al. Stabilization of Networked Control Systems Using Delaydependent Control Gains. IET Control Theory & Applications. 2012, 6(5), 698-706. Hongbo Li, et al. State Feedback Integral Control of Networked Control Systems with External Disturbance. IET Control Theory & Applications. 2011, 5(2):283-290. Hongbo Li, et al. State feedback stabilisation of networked control systems. IET Control Theory & Applications, 2009,3(7), 929-940.